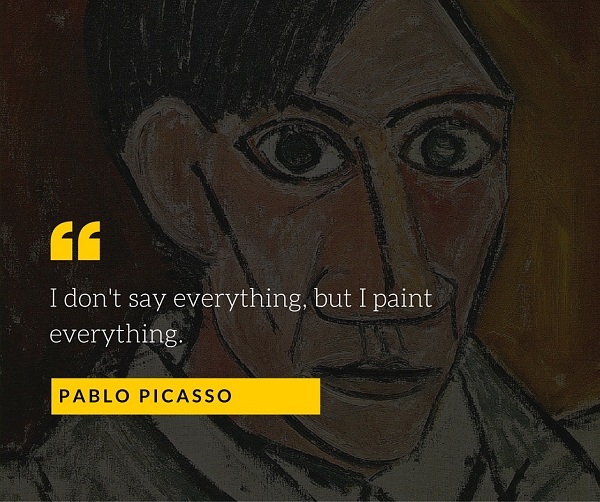 The words of the wise men can be a great source of motivation in the moments of creative or any other kind of personal crisis. 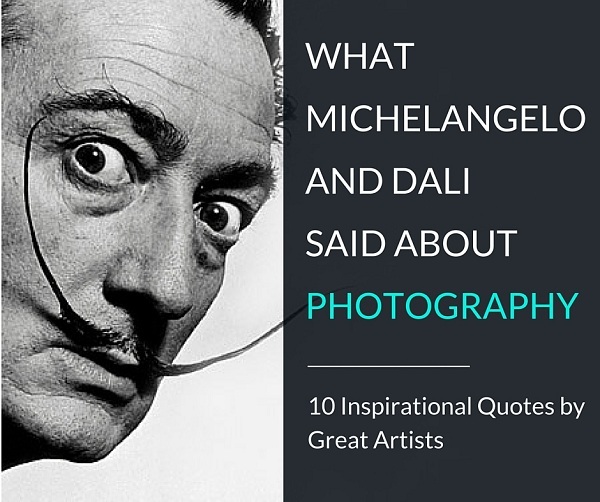 While you probably got used to seeing quotes by renowned photographers in your Twitter or Facebook feed, have you ever wondered what great artists, such as Michelangelo, Salvador Dali, or Claude Monet could say about photography? Read on to find it out! 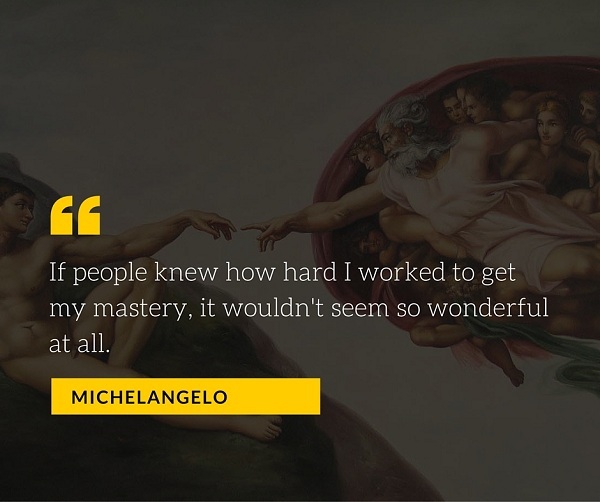 Well, obviously, Michelangelo and most of the classic artists quoted below didn’t think about photography when they expressed their wisdom. 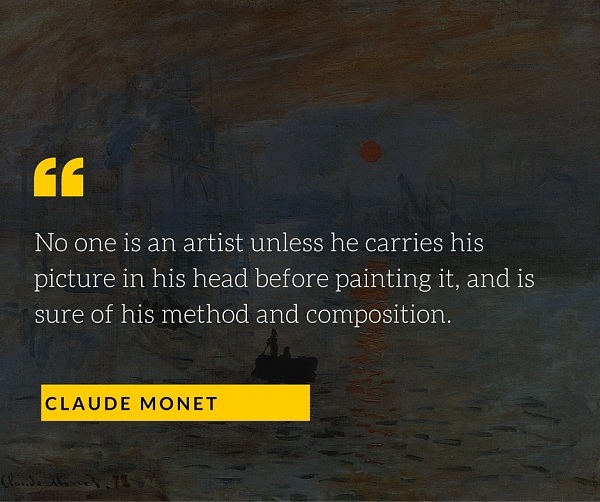 However, their words about artistry in general can be projected on a modern photographer’s reality just perfectly. Whether you’re a pro photographer or a hobbyist, with this post we’re inviting you to take a deeper insight into photography and get inspired for outstanding results as you’re doing what you love most. This is a great assertion to remember when you’re tempted to buy another piece of photo gear. Before you hit the Buy button, ask yourself whether this new something will really help you improve your photography? Do you really need that fancy full frame sensor camera if you can’t even cope with the M-mode of your current one? It’s your vision, your knowledge and experience, not your gear, that define 90% of your work’s success. 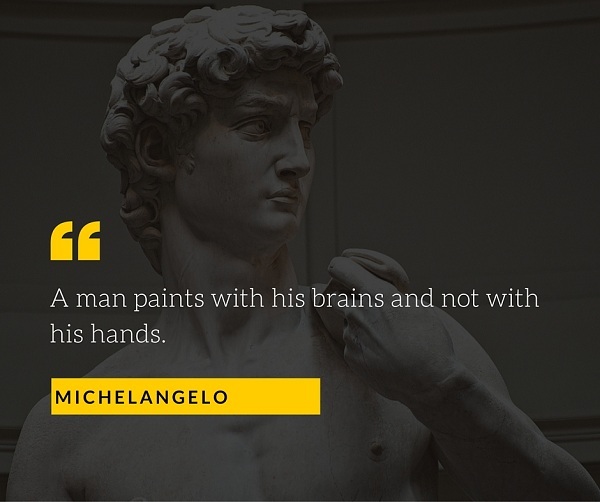 So referring to Michelangelo’s words, invest most of your time, energy and money into your brains and not into your hands. We, people, are often too busy with what we consider to be our problems, so that we stop noticing simple, beautiful things in our everyday life, and even ourselves. No matter what genre you’re working in, photography can help people see and appreciate important things that otherwise would be left unnoticed behind the routine. Just think how wonderful it is when your portrait helps the subject realize their own charm and get more self-confident, or when your landscape shot motivates the viewer to change their life and go travelling. 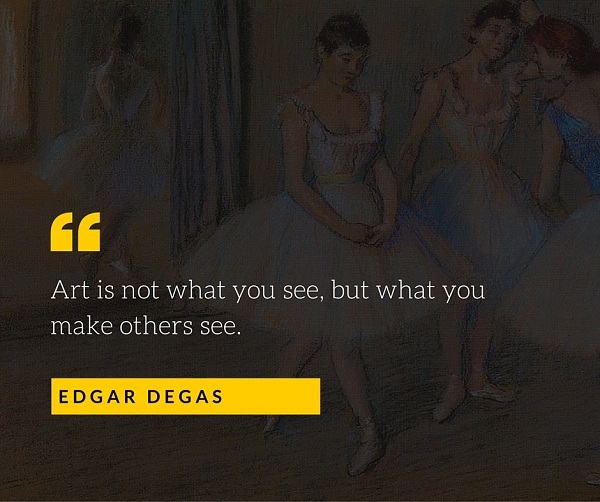 This principle by Edgar Degas is a truly rewarding practice which can give timeless value to every shot you take. 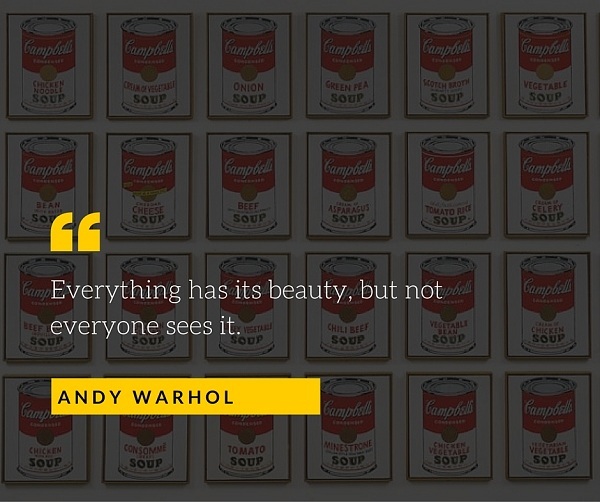 While this quote may seem a bit discouraging at first, hinting at the thought that if you’re not someone like Andy Warhol, seeing truly beautiful things is beyond your reach. However, I’ll dare to continue this assertion of the iconic artist by suggesting that not everyone WANTS to see that beauty. Yes, we’re all born with different “amounts” of talent and what comes out easily from one creative mind, may require extra effort in order to be expressed by another. 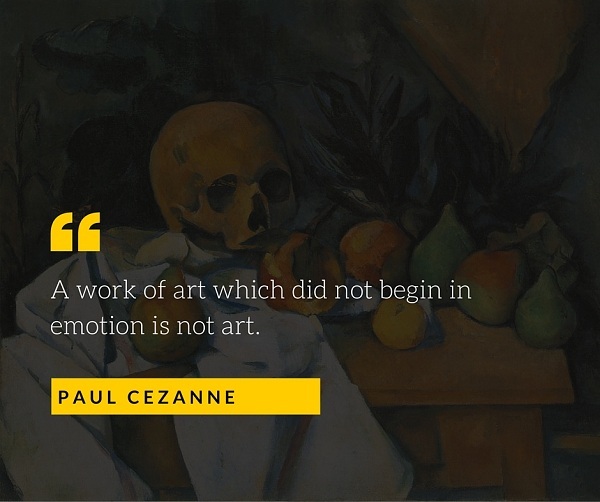 The point is to always have your inner artist busy and deliberately LOOK at things, and therefore, train your eye to see the beauty Mr. Warhol talked about. When you’re looking through the photos from your latest shoot, what emotions do they evoke deep in your heart? If the chords of your soul are silent, what value can those photos bring to others? Some may argue that not every photography job is shooting stunning Hawaiian scenery. We all have to pay bills and thus, take up offers that look dull and uninteresting to us. However, that’s where we can try to apply the previous quote and see it from another angle, the one that connects the rational and emotional sides of our mind. For instance, a boring corporate headshot job can be viewed as a way to meet new people and maybe learn some interesting stories. 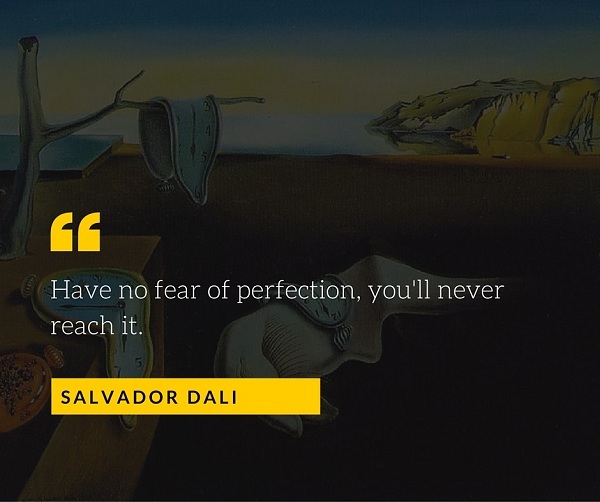 At first sight, perfectionism seems a good trait. Indeed, what’s wrong in the desire to hit all goals, be incredible at your job or raise perfect children? However, constant striving for the best usually comes along with the fear of making an error or asking for help, which causes additional mental pressure on a perfectionist. There’s nothing bad in being meticulous when it comes to shooting or post-processing your images, but don’t turn your work into a permanent rainbow hunt. Have you ever met an “understanding” look after you told someone you’re a photographer? Argh, I hate such moments. 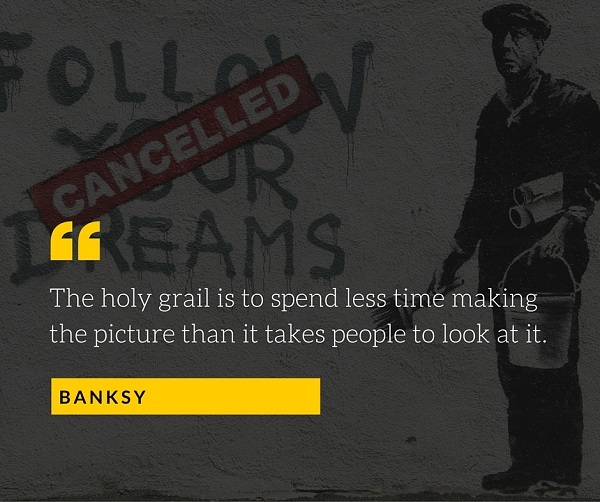 It seems nothing really changed from the times of Michelangelo and many people still consider some creative occupations, like photography or art, not “real” jobs. Being good at something is pretty damn hard, and photography is no exception. If you feel like leaving your day job in favor of photography, make sure you don’t look at this trade through pink glasses and realize it may take you a lot of sweat in order to get traction in the photography business. Sometimes to create an outstanding image, you need to go out of the box and break the rules of composition, lighting, or any other photography standards. However, you can’t go out of the box if you don’t know where that box even is. 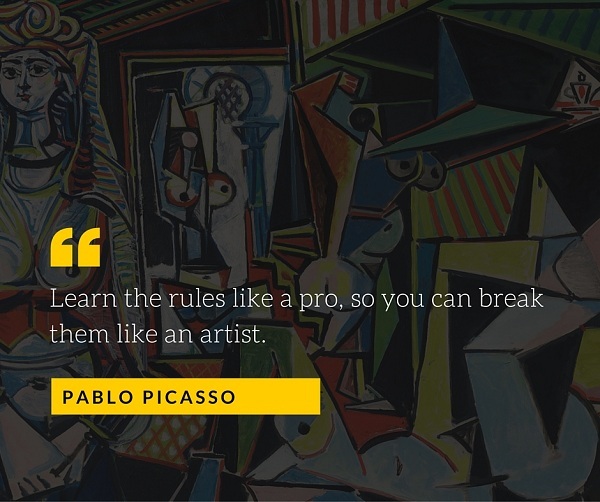 By trying to break a rule you don’t know, you’re shooting the blue with a high likelihood of fail. If you’re serious about becoming a photographer, don’t skip the theory – it’s your first and foremost weapon on the way to unique, extraordinary images. Naturally, it’s not easy (to say the least) to find the holy grail. However, you have more chances to find it when you’re actually searching for it. Write down your creative ideas, plan your shoots, put yourself in your viewer’s shoes when editing your images – all this can increase your chances of making the picture that captures the attention. In the digital era, you have a possibility to endlessly click that shutter button in the hope that one of those shots will be a good one. However, does this really make you a better photographer compared to previous-generation ones who had to think out each picture they were about to take? Trying to build a picture before releasing the shutter can be quite an effective and rewarding practice for any photographer.